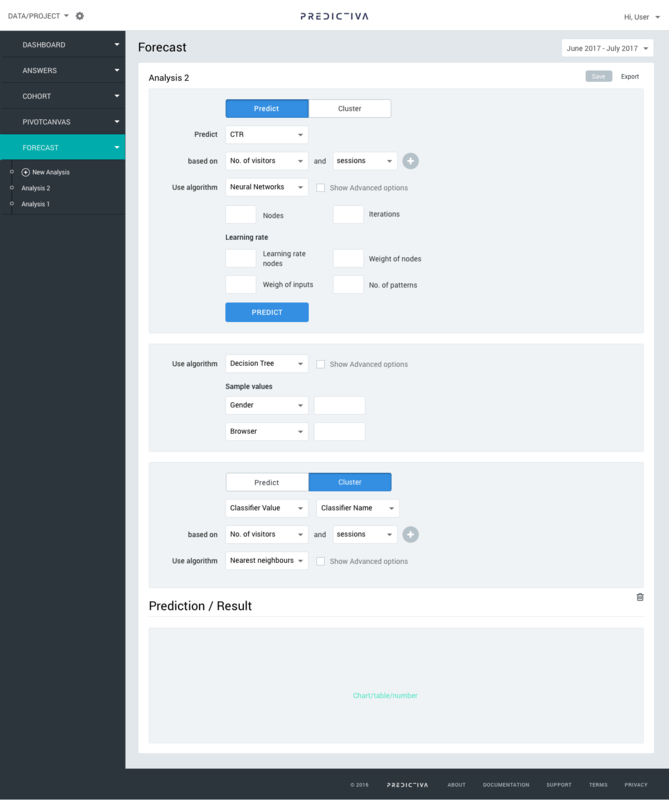 Predictiva focuses on user data analytics, user tracking and data integrity. 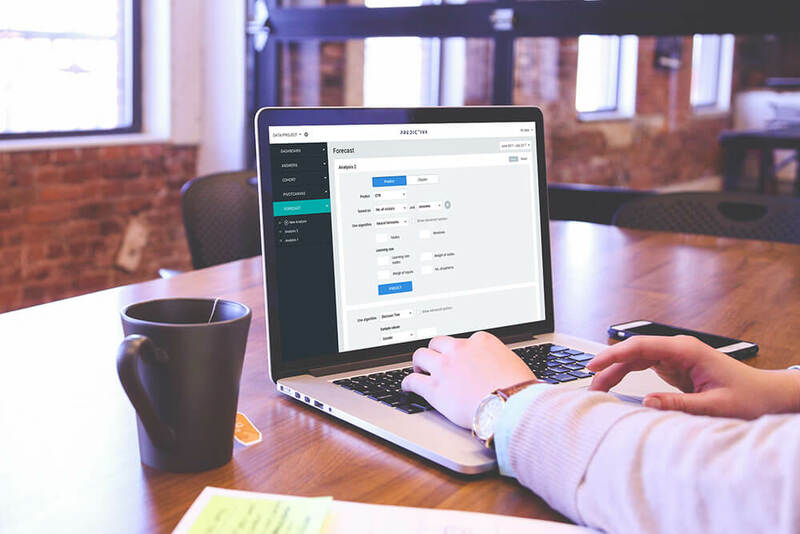 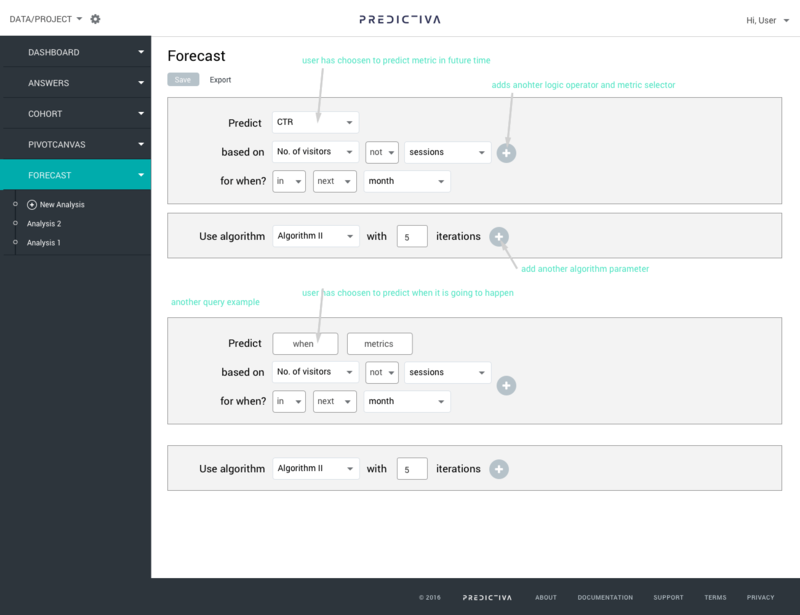 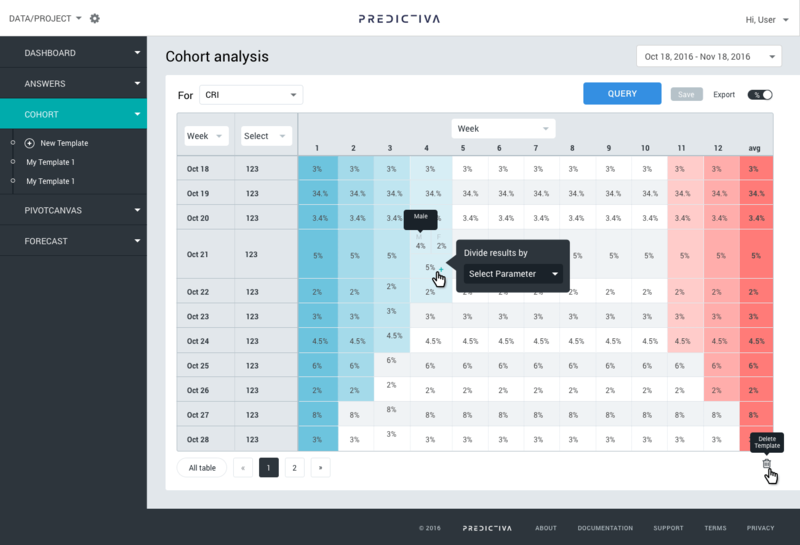 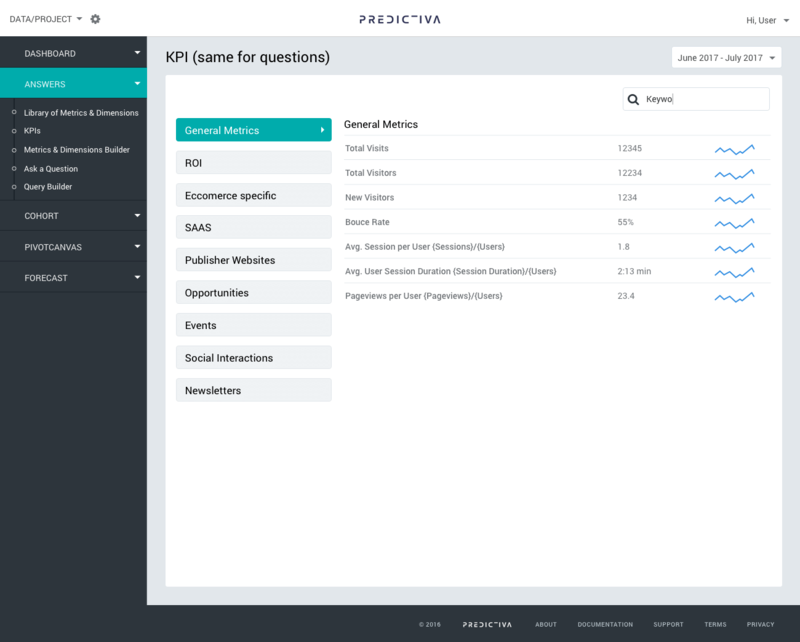 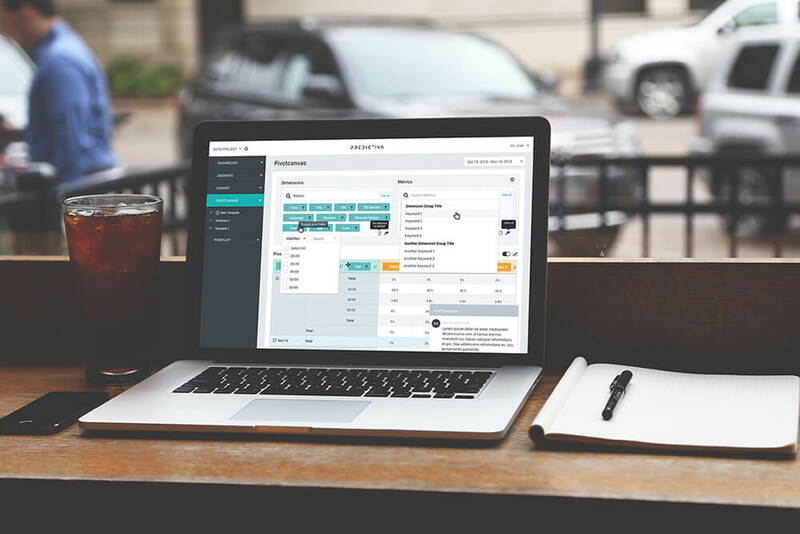 While majority of user analytic tools focus on past or real time data analysis, Predictiva focuses on future – predictions, strategic predictions, customer segmentation, predictive cohorts and custom queries & question builder and more; to help you make smarter decisions in your business. 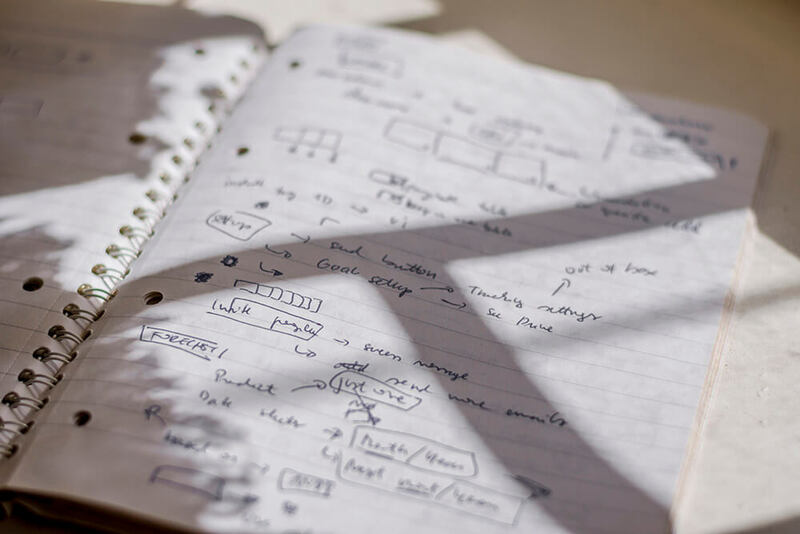 What it seemed like a very specific challenge to organize & design in user friendly way, turned into sleek UX successfully – after quite few sketches, wireframes and iterations and watching user videos from pre-existing product version. 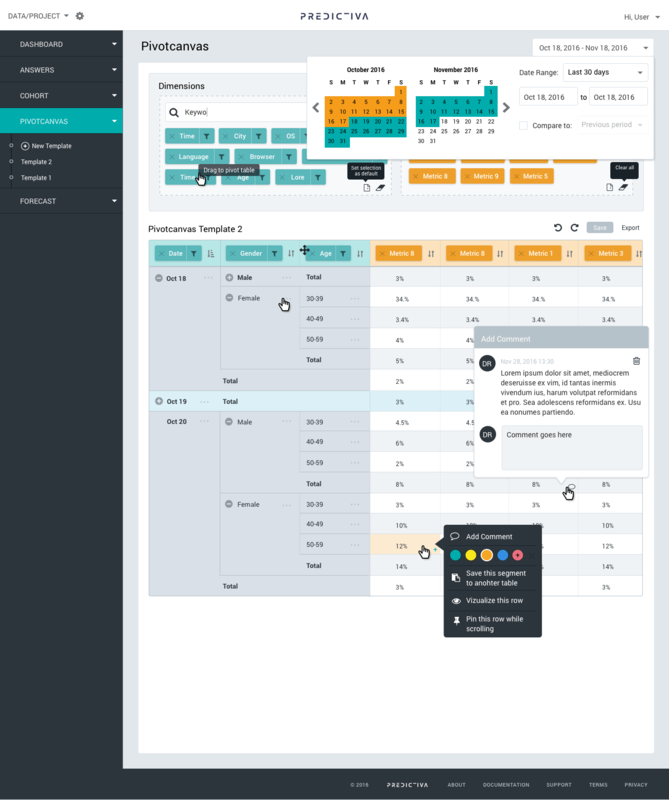 UI part is based on the template, there was still some missing elements to design after the main UX design job was completed.